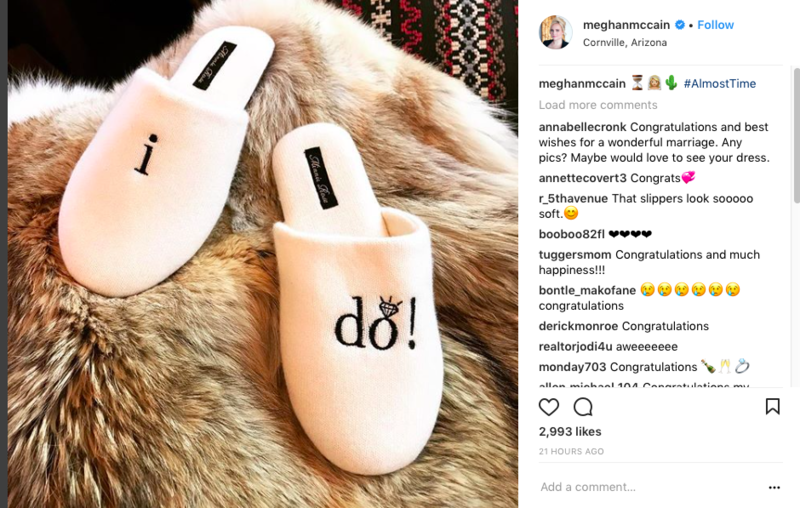 If you’re wondering why Meghan McCain has been absent from her seat on ABC’s “The View” this week, she has a pretty good excuse: Wedding bells. McCain only recently announced that she was engaged to The Federalist‘s founder and publisher Ben Domenech, a conservative journalist who co-founded RedState and wrote for National Review Online as a teenager. The couple got engaged in July. She also dished to the ladies that the pair decided to marry in a most unromantic way. They were at the Mayo Clinic where her father, Sen. John McCain (R-Ariz.), was being treated for aggressive brain cancer and decided that life is too short. 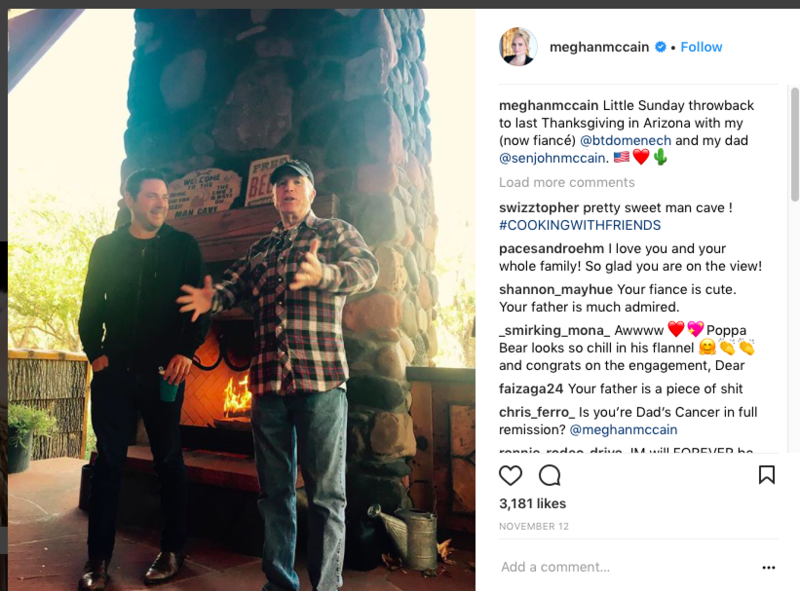 McCain’s brother, Jack, walked her down the aisle in a rather secret wedding at her family’s ranch in Arizona, according to a few guests. Sen. McCain had a torn Achilles heel. “After two days of having to be mum, we’re allowed to say congratulations Meghan McCain. You got married yesterday!” Whoopi Goldberg announced on ABC’s “The View” Wednesday. McCain will return to the show on Monday. When Sen. McCain recently appeared on “The View” with his daughter, he joked that Domenech is not funny. More seriously, he remarked how happy he was for his newly engaged daughter. Domenech has previously been dogged by plagiarism allegations. He worked for The Washington Post for three days after superiors learned that he had previously submitted plagiarized works to variety of publications. Regardless, congrats to the happy couple on their big day!